I took advantage of the nice weather on Sunday to spend some more time on the Charles. Earlier in the afternoon, I went in town to go rollerblading for the first time in a long time. I started in Allston, and skated up the bike paths, then crossed over the Anderson bridge to Memorial Drive and skated up to Western Avenue. There was a dragon boat race there, so it was really crowded. It was fun to be back on skates, but boy, was it painful. My legs just aren’t what they used to be. After getting back to the car, I headed back out to Newton to go kayaking. I’d gone downstream last week, so this week I was determined to go upstream, all the way to the Route 16 dam if I could. 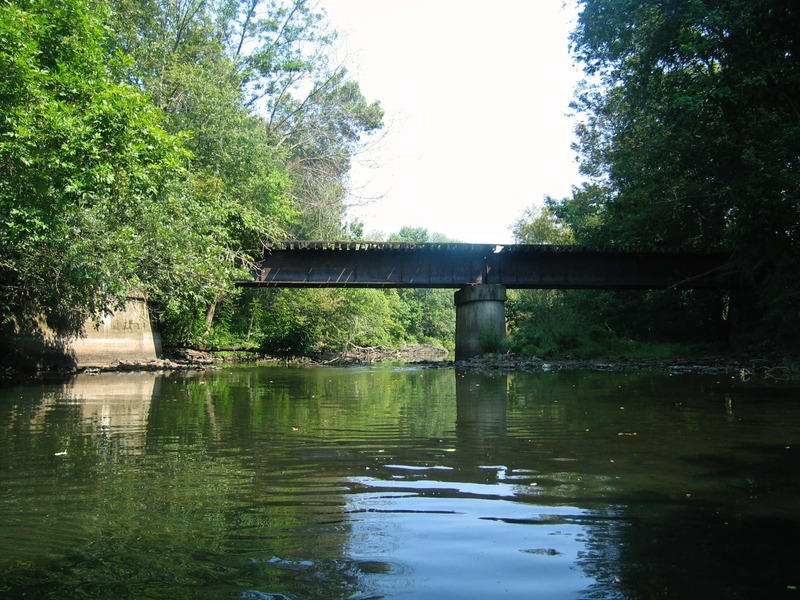 When heading upstream from Newton, the first thing you encounter is a welter of bridges– first, the kind of decrepit one for Route 30, then the overpasses for the Mass Pike (I always feel like I need to inspect them as I pass under them), a foot bridge, and then the massive concrete arch bridge carrying the railroad. I continued to paddle downstream, toward the golf course. Along the way, I passed a big patch of lily pads. The whole area around the bridge has seen a lot of development since I first saw it in 2007. Just a short way past the footbridge is the end of the line. There’s a dam at Route 16, with a small waterfall and rocks and shoals at its feet. I generally think of Canadian geese as annoying poop machines, but the little goslings were cute. As I passed Riverside park, I saw a couple of swans. By this point, it was starting to get late, and I hurried back to the dock. As I clambered onto the dock (oh so gracefully– not!) I noticed the reflections of kayaks in the water. 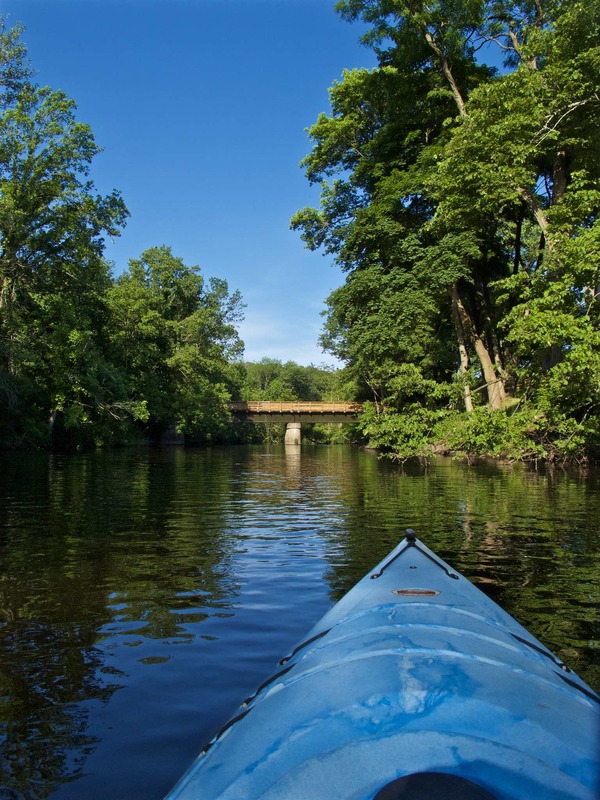 This entry was posted in Kayaking, Photography and tagged Charles River, kayaking, paddlenewton, photography by Ted. Bookmark the permalink.